We make cloud and mobile development easy! Check out our Applications and Games! We specialize in cutting edge Microsoft technologies, specifically in Security, Cloud and Mobile development. Our team of experienced Architects has been helping various businesses (small and large) evaluate, design, build and manage solutions that take full advantage of Microsoft Windows Azure Cloud Services. Math & Match is a unique game that combines a classic memory matching game with simple mathematical concepts. It has never been easier and more fun to learn and memorize Multiplication Tables and Simple Math Facts! #1 Password Manager is a feature-rich, most secure and safe Windows 10 application for managing passwords and other sensitive personal data. It uses the best practices and most advanced security standards to keep your private data protected and safe. Your local password storage! Simple, Safe and Secure! #1 Password Generator is the best strong random password maker on the market! Quickly generate new strong and secure passwords that meet personal or corporate requirements with one click! Never use weak passwords again! Never lose or forget your passwords again. Try #1 Password Manager risk free! Get #1 Password Generator now! Train your brain, have fun and enjoy the Game! Try Math & Match for free! Try Alphabet Match Plus for free! Never miss another club event! Get Twin Cities Chess Club now! Math & Match is now integrated with Xbox Live. Sign in with your Xbox Live account and play the game on any device: Xbox One, PC or Phone! 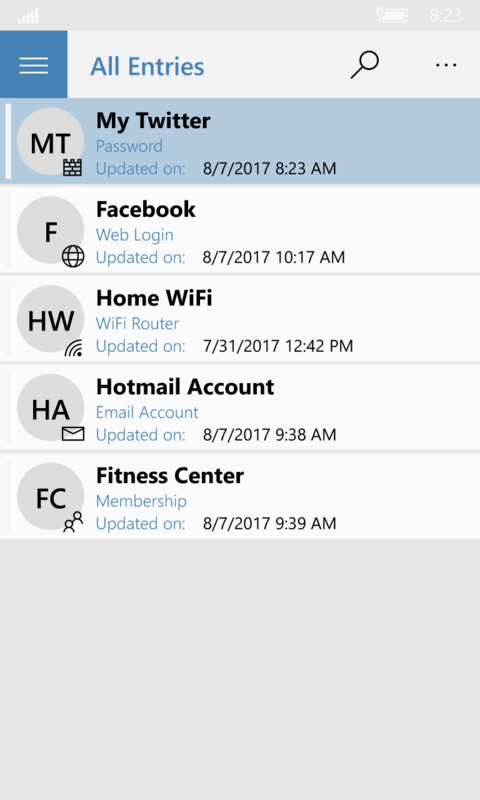 #1 Password Manager UI improvements and fixes for Windows 10 High Contrast mode! Math & Match is now available on Xbox One! Alphabet Matching is now available on Xbox One! End of the year 50% sale! Math & Match is now integrated with Xbox Live! Sign in with your Xbox Live account and play the game on any device: Xbox One, PC or Phone! An easy, quick and secure way to generate new strong and random passwords! A unique game that helps improve memory and memorize multiplication tables!